Updated content for 2013 and beyond – 6 training modules, discover what it takes to build successful app business with little or no cash out of pocket. I have been following Amish Shah for a while now, in fact from the early days of TheNewPPC (2007), over the years I have picked up several pretty neat strategies from him, he is good at picking up and monetizing on popular trends and knows his stuff when it comes to marketing and online business, so if you’re looking for a way to capitalize on mobile apps you definitely should take a look at his “The App Code” course. If you’re brand new to mobile apps and need some guidance on how to start building apps for free you can sign up for free webinar here. On this webinar Amish shows the system that he uses to build and market apps for free, little known strategies to make money from apps as soon as they hit the app store. Mobile apps are big and getting bigger, if you want some proof – take a look at some of the numbers below. Touchscreens will account for nearly 90% of smartphones shipped in 2011, and will increase to nearly 100% in the next several years. Mobile application downloads to reach nearly 48 billion in 2015. What Is Special About The App Code? The App Code is not the only course about making money from mobile apps, but one the biggest differences with other courses is that Amish teaches how to make apps for free… Other products talk about how you have to spend at least $400 to $3,000 to build an app and then spend more money to market it as then rely on buying traffic. Register for free webinar with Amish Shah to learn best strategies from the App Code and exact techniques Amish used to build $1,95 million dollar app company in 9 months. What you can expect from The App Code? 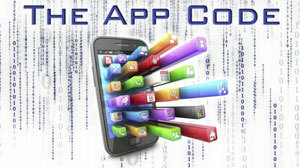 The main body of the course are 6 modules that outline entire process of creating and monetizing your apps. Videos are 10-15 minutes long and are straight and to the point – Amish explain strategy or technique and give you actionable steps. How much you can expect to earn from your apps? In-app purchases – allow customers purchase upgrades, new content, unlock certain features directly within your app, this is excellent way to monetize free apps. In-app purchases account for 72% of revenue, yet only 4% of apps in the App Store even offer in-app purchases. Promoting other apps – you get affiliate commissions by referring users to other apps. Selling apps to local businesses – offer to develop custom app for local business (dentists, chiropractors, layers etc…) if you do any kind of local marketing this is a great way to upsell your clients – with The App Code you will learn how to outsource app creation process and build apps for $12 so you can sell them for up to $500 to local business owners. Sell your apps – if you build a decent app, Amish is offering to buy it from you through his company Bitzio or you can sell it to other app development companies. As you can see there are plenty of ways to make money from mobile apps BUT don’t expect to make gobs of money the next day you get access to The App Code course – within your first week you will build 5 free apps and then submit them to the app stores and get to actual monetization part during the weeks 2 and 3. If you do everything right – you should start making money within 15 days, but 5 apps won’t make you any serious money, the real money come when you scale the process and start building quality apps on a regular basis. Free apps that you build during your first weeks of training are to test the markets and get the data to see what’s working and what doesn’t. Expect to invest some elbow grease and 4-6 weeks to learn all the material and get comfortable with the process, but the good part is that you can then outsource the whole process for as little as $12 per app and replicate your revenue streams over and over again. Free apps allow you to test your ideas because even the stupidest idea can be a goldmine – take a look at iFart that rakes in $10 000 a day. Your goal is to build massive interconnected app network where each app is making you money, the more users you have using your apps the more money you make and it gets easier to launch new profitable apps because you can instantly message all your users using “push notification” and “nag screens” – “Hey, check out I got a new app”. Is The App Code is right for you? The App Code is certainly not for everybody, if you’re not serious about your online business – there are better ways to spend your money, but if you want to make 2012 your year and capitalize on insanely lucrative trend before it is too late then you should get it. Over the last 10 years we have seen several Internet “Gold Rushes” and people who have jumped on these opportunities early have made fortunes – flipping BIG domain names for millions, crushing it in the early with affiliate marketing, building massive email lists when PPC clicks cost pennies, gathering tons of followers in the early days of Twitter… Mobile apps are one of those opportunities so if you don’t want to miss the app window – watch The App Code webinar and decide for yourself if it is right for you. If you want to have successful online business instead of focusing on the latest trick or technique you should focus on building solid framework and proven revenue generating systems and this is what Amish Shah “The App Code” is all about. You can’t deny that mobile applications are coming into our life and business and it is much more lucrative to adopt and embrace these changes than try to ignore them. By building app network that is making you passive revenue each day you will future proof your business and create revenue stream that has massive potential if used right. P.S Even if you don’t plan to buy “The App Code” course right now, I still suggest you sign up and watch the webinar because I am sure you will pick up some ideas and great tips that will help you to get started in the right direction when you ready to.